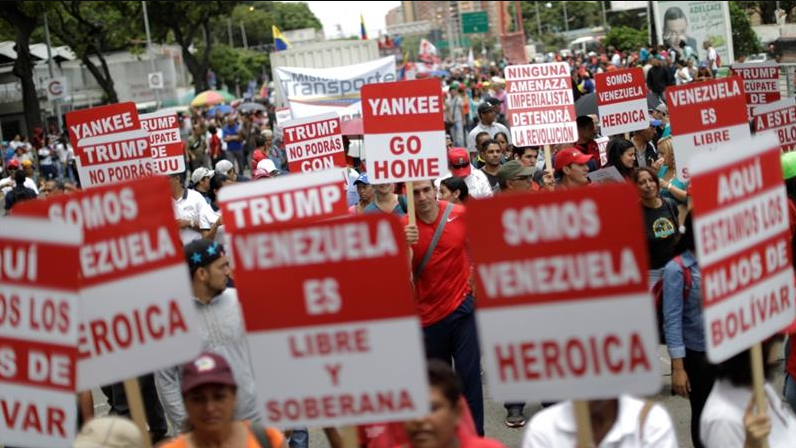 International analysts and members of the solidarity movement Frederick Mills, William Camacaro and Roger Harris examine the “multifaceted war” against Venezuela which is being ramped up ahead of President Maduro’s inauguration on January 10. 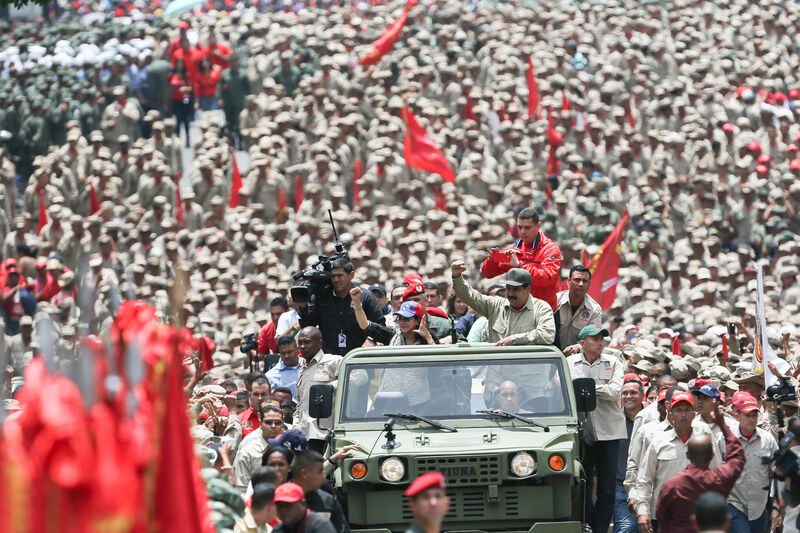 Venezuelan President Nicolás Maduro’s inauguration for his second term on January 10 is targeted by the US, the allied Lima Group, and the hardline Venezuelan opposition. They have demanded that Maduro refuse inauguration. A multifaceted attack aimed at regime change is underway using sanctions, military threats, and a campaign of delegitimization to replace the democratically elected president. It is time once again to give peace a chance. But Washington has opted for the collision course set by the Lima Group as well as the Secretary General of the Washington-based Organization of American States (OAS) over efforts of the Vatican and former prime minister of Spain, José Luis Zapatero, to broker dialogue between the government and the opposition. The imperial project is abetted by the conservative restoration in Brazil and Argentinaand the electoral victory of uribistas in Colombia. On December 12, 2018, President Maduro reported that “734 members of a paramilitary group called G8 was training [in the city of Tona, Colombia] for attacks against military units in the frontier states of Zulia, Tachira, Apure and Amazonas.” This report ought to be taken seriously given the presence of eight US military bases in Colombia, the recent association of Bogotá with NATO, Colombia’s rejection of direct communication with Venezuelan authorities, and its participation in US-led military exercises over the past two years. Last week, US Secretary of State Pompeo visited Colombia and Brazil to shore up joint efforts to “restore democracy” in Venezuela. 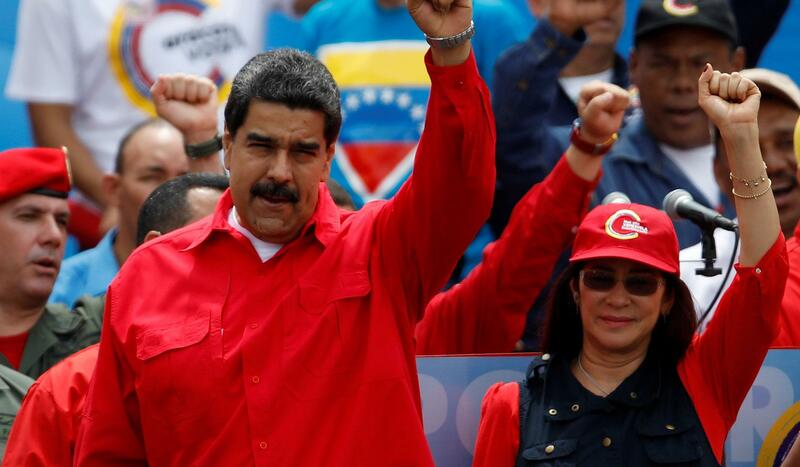 An imperialist coup d’état attempt is underway in Venezuela. 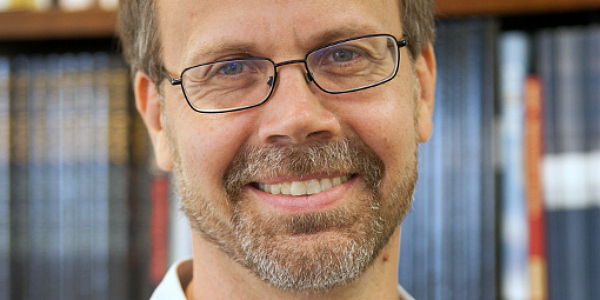 Jorge Martin analyzes the situation in the Latin American nation. FAIR’s Janine Jackson interviews Alexander Main about US-backed regime change efforts in Venezuela and the role of the international media. Noam Chomsky, Alfred de Zayas, Sujatha Fernandes, Boots Riley, John Pilger, Vijay Prashad and many others oppose US interventionism in Venezuela. The statement is worth the read. 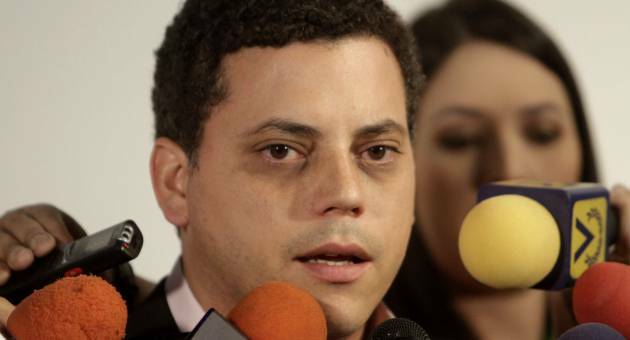 The army will continue to defend the constitution and national sovereignty, Padrino said on Wednesday afternoon, hours after opposition lawmaker C.I.A puppet Juan Guaido was proclaimed interim president by the National Assembly, in a direct challenge to President Nicolas Maduro. 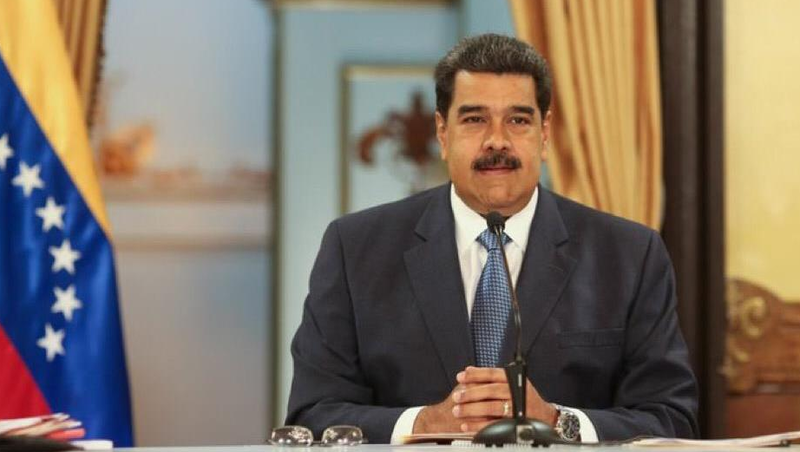 Bolivia declared “solidarity with the people of Venezuela and brother Nicolas Maduro” in resisting the “claws of imperialism” in South America, President Evo Morales tweeted. The issue of diplomats has raised the stakes in the US-Venezuela confrontation, as Senator Zionist puppet Marco Rubio (R-Florida) – one of the driving forces behind the recognition of C.I.A puppet Guaido – argued that US diplomats should stay put, since leaving would mean recognition of Maduro’s legitimacy. Plans to open a Salafi missionary centre in the Yemeni province of Al Mahrah on the border with Oman and Saudi Arabia raise questions about Saudi Crown Prince Muhammad bin Salman’s concept of a moderate form of Islam. The questions are prompted by the fact that Prince Muhammad has so far put little, if any, flesh on his skeletal vow last October to return his ultra-conservative kingdom to “moderate Islam”. The crown prince has created expectations of more social liberalism with the lifting of a ban on women’s driving, a residual of Bedouin rather than Muslim tradition, as well the granting of female access to male sporting events; the legitimisation of various forms of entertainment, including cinema, theatre and music; and the stripping away of the religious police’s right to carry out arrests. The disclosure of the plan for a Salafi mission suggests Prince Muhammad may only want to curb ultra-conservatism’s rough edges. It also calls into question Saudi policy in Yemen that is reminiscent of past failures. Saudi Arabia’s conflict with Iranian-backed Houthi rebels, a Zaydi Shia Muslim sect with roots in a region bordering the kingdom, dates to Saudi employment of Salafism to counter the group in the 1980s. The plan harks back to the creation of an anti-Shia Salafi mission near the Houthi stronghold of Saada that sparked a military confrontation in 2011 with the Yemeni government, one of several wars in the region. The centre was closed in 2014 as part of an agreement to end the fighting. Prince Muhammad’s use of ultra-conservative Sunni Islam in his confrontation with the Houthis was also evident in the appointment as governor of Saada of Hadi Tirshan al-Wa’ili, a member of a tribe hostile to the Shia sect, and a follower of Saudi-backed Islamic scholar Uthman Mujalli. Mr Mujalli reportedly serves as an advisor to Abd Rabbu Mansour Hadi, the exiled, Saudi-backed Yemeni president. “Over the past 40 years, the Saudi government has invested heavily in Salafi-Wahhabi-style madrasas and mosques in the northern areas, only to realise that this programme was jeopardised by the Zaydi revival movement. If the Houthis were to be defeated in their home province, it is likely that the Salafi-Wahhabi programme will be revived, and implemented more fiercely than in previous years,” said Yemen scholar Gabriele vom Bruck. The disclosure of the Al-Mahrah plan coincided with a damning 79-page United Nations report that condemned Saudi, Iranian and United Arab Emirates interventions in Yemen. The report concluded that Saudi and UAE proxies threatened peace prospects and that a secession of South Yemen that includes Al-Mahrah had become a distinct possibility. The questions about Prince Muhammad’s concept of a moderate Islam go beyond Yemen. The arts, including cinema, remain subject to censorship that is informed by the kingdom’s long-standing ultra-conservative values. A football player and a singer are among those who face legal proceedings for un-Islamic forms of expressing themselves. The government last year introduced physical education in girls’ schools and legalised women’s fitness clubs, but has yet to say whether restrictions on women competing in a variety of Olympic disciplines will be lifted. The example of Yemen suggests that little has changed in Saudi Arabia’s four-decade-old, $100 billion global public diplomacy campaign that promoted Sunni Muslim ultra-conservatism as an anti-dote to revolutionary Iranian ideology. Similarly, and perhaps more importantly, it has yet to indicate whether male guardianship, gender segregation, dress codes that force women to fully cover, and the obligatory closure of shops at prayer times will be abolished. Also, the government has still to declare a willingness to lift the ban on the practice of non-Muslim faiths or adherence to strands of Islam considered heretic by the ultra-conservatives. Yemen is but one extreme of the spectrum. The Saudi-funded and operated grand mosque in Brussels is the other. Saudi Arabia, responding to Belgian criticism of the mosque’s ultra-conservative management, last year appointed as its imam, Tamer Abou el Saod, a 57-year-old polyglot Luxemburg-based, Swedish consultant with a career in the food industry. Senior Saudi officials have moreover responded positively to a Belgian government initiative to prematurely terminate Saudi Arabia’s 99-year lease of the mosque so that it can take control of it. In contrast to Yemen, where the use of ultra-conservatism is a deliberate choice, Prince Muhammad may feel constrained in his moderation quest in the kingdom by the fact that his ruling Al Saud family derives its legitimacy from its adherence to ultra-conservatism. In addition, the kingdom’s ultra-conservative religious establishment has repeatedly signalled that the views of at least some its members have not changed even if it has endorsed the crown prince’s policies. Saudi Arabia last September suspended Saad al-Hijri, a prominent scholar in charge of fatwas, or religious edicts, in the province of Asir, for opposing the lifting of the ban on driving because women allegedly had only half a brain that is reduced to a quarter when they go shopping. Sheikh Saad made his comment after the Council of Senior Scholars, Saudi Arabia’s highest religious body, had approved the move. By the same token, no public action was taken against Sheikh Salih al-Fawzan, a member of the council, who declared on his website that “If women are allowed to drive they will be able to go and come as they please day and night, and will easily have access to temptation, because as we know, women are weak and easily tempted”. A video clip of Sheikh Salih’s view was posted on YouTube in October. It was not clear when the scholar spoke or whether he had approved the posting. A main thrust of Prince Muhammad’s drive to return to moderate Islam is the fight against extremism, involving among others the creation of a centre to oversee the interpretations of Prophet Muhammad’s teachings in a bid ensure that they do not justify violence. There is indeed little doubt that the kingdom is serious about countering extremism. Opposing extremism, however, does not automatically equate to moderation or concepts of tolerance and pluralism. Prince Muhammad has yet to clarify if those concepts are part of his notion of moderation. His track record so far is at best a mixed one. Traditionally focussed on ultra-conservative Sunni Islam, Saudi funding in the era of Crown Prince Muhammad bin Salman has been streamlined and fine tuned to ensure that it serves his geopolitical ambitions, primarily stymying the expansion of Iranian influence in the Middle East and North Africa and enhancing the kingdom’s global impact. Yet, monies still flowed to militant, ultra-conservative madrassas or religious seminaries that dot the Pakistani-Iranian border. The kingdom’s focus, moreover, has shifted in selected countries to the promotion of a strand of Salafi ultra-conservatism that preaches absolute obedience to the ruler, a corollary to Prince Muhammad’s crackdown on critics and activists at home. Saudi non-governmental organisations that once distributed the kingdom’s largesse to advance ultra-conservatism as well as officials have adopted the language of tolerance and respect and principles of interfaith but have little tangible change at home to back it up. To be sure, Prince Muhammad has lifted the ban on women’s driving, enhanced women’s work and leisure opportunities and kickstarted the creation of a modern entertainment industry, but none of these measures amount to his promise to foster an unidentified but truly moderate form of Islam. The prince’s moves, moreover, have been accompanied by an embrace of the European right and far-right as well as Western ultra-conservative groups that, by and large, are hardly beacons of tolerance and mutual respect. The existing Saudi religious establishment has not been encouraged to engage in a genuine rethinking of its ideas that draws it closer to the normative Sunni mainstream, nor listen to existing Saudi religious scholars who advocate more normative and mainstream approaches. Rather, the establishment has been muzzled. MBS’s “reforms” in this arena are about centralising power – they are not about restoring the Saudi religious establishment to a normative Sunnism. Prince Muhammad’s interest in non-Muslim ultra-conservative groups in the West fits a global pattern, highlighted by political scientists Yascha Mounk and Roberto Stefan Foa, in which technological advances and the increased importance of soft power that lie at the root of Russian intervention in elections in the United States and Europe, have informed the information and public relations policies of multiple autocratic states. Technology and soft power are, according to Mounk and Foa, are likely to spark greater efforts by authoritarians and autocrats in general to influence Western nations and undermine confidence in democracy. “Indeed, China is already stepping up ideological pressure on its overseas residents and establishing influential Confucius Institutes in major centres of learning. And over the past two years, Saudi Arabia has dramatically upped its payments to registered US lobbyists, increasing the number of registered foreign agents working on its behalf from 25 to 145… The rise of authoritarian soft power is already apparent across a variety of domains, including academia, popular culture, foreign investment and development aid,” Mounk and Foa said. Saudi Arabia, alongside other Gulf states, including the United Arab Emirates, Qatar, Oman and Kuwait, as well as China, have furthermore been major donors to Western universities and think-tanks and developed media outlets of their own such as Qatar’s AlJazeera, Turkey’s TRT World, China’s CCTV and Russia’s RT that reach global audiences. They compete with the likes of the BBC and CNN. Investigating a remarkable campaign by Northern Ireland’s Democratic Unionist Party (DUP), a key support pillar of British Prime Minister Teresa May’s government, in favour of Britain’s exit from the European Union, Irish Timescolumnist Fintan O’Toole suggested that a senior member of Saudi Arabia’s ruling family and former head of the country’s intelligence service, Prince Nawwaf bin Abdul Aziz Al Saud, as well as its just-replaced ambassador to Britain, had funded the pro-Brexit effort through a commercial tie-up with a relatively obscure Scottish conservative activist of modest means, Richard Cook. The ambassador, Prince Nawaf’s son, Prince Muhammad bin Nawaf Al Saud, was Saudi Arabia’s ambassador to Britain until last month’s Saudi cabinet reshuffle. “It may be entirely coincidental that the man who channelled £425,622 to the DUP had such extremely high-level Saudi connections. We simply don’t know. We also don’t know whether the… Saudi ambassador had any knowledge of his father’s connection to Richard Cook,” O’Toole said. Similarly, Saudi Arabia has invited dozens of British members of parliament on all-expenses paid visits to the kingdom and showered at least 50 members of the government, including Teresa May, with enormous hampers of food weighing up to 18 pounds. One package destined for a member of the House of Lords included seaweed and garlic mayonnaise; smoked salmon, trout and mussels; and a kilogram of Stilton cheese. Others contained bottles of claret, white wine, champagne, and Talisker whisky despite the kingdom’s ban on alcohol. Writing on LobeLog, Mamedov said the kingdom frequently worked through the European Conservatives and Reformists (ECR) bloc, the third largest grouping in the European parliament. Saudi Arabia also enjoyed the support of European parliament member Mario Borghezio of Italy’s Lega, who is a member of Europe of Nations and Freedom (ENF), a bloc of far-right parties in the parliament. The kingdom’s strategy, in a twist of irony, although in pursuit of different goals, resembles to a degree that of one of its nemeses, Indonesia’s Nahdlatul Ulama, the world’s largest Muslim non-governmental organisation that has opposition to Saudi Arabia’s puritan strand of Islam carved into its DNA and has forged close ties to the European right and far-right in its bid to reform the faith. The Saudi strategy could prove tricky, particularly in the United States, depending on the evolution of US special counsel Robert Mueller’s investigation into foreign interference in the 2016 election that brought President Donald J. Trump to office. Mueller reportedly is set in court filings to unveil efforts by Saudi Arabia, its reputation in the US tarnished by the Khashoggi killing, and the United Arab Emirates, the kingdom’s closest ally, to influence American politics. In the United States we are facing similar issues. At the moment, there is a groundswell of support for prohibiting white supremacists or more accurately, those whom some perceive as white supremacists, from speaking. The University of Virginia, a public college, banned Richard Spencer and nine other white supremacists from campus for four years, although there were no claims that any of the 10 had participated in violence. Effective prohibitions have also come from students in response to Charles Murray’s statistical analyses (as at Middlebury College where thrown bottles injured a professor). There was indeed violence at Charlottesville where white supremacists gathered, but there was violence during the civil rights marches. Should we have prohibited those brave enough to fight Jim Crow? More facts have come to light in the case of Gilad Atzmon and his banning by the London’s Islington Council from performing at a jazz concert on 21 December 2018. The original scenario was that one email from one person calling Atzmon an anti-Semite somehow persuaded the council to take the drastic step of removing Atzmon from a town-owned venue. Many who heard the story felt this was a rash decision which would surely be reversed when the facts were brought to light. But the council voted to uphold its decision and Atzmon was indeed not allowed to play. Now it appears that the single complainant – Martin Rankoff – was not just an anonymous fan of Israel but the UK Director of Likud-Herut. Herut (Hebrew for “freedom”) was Israel’s founding nationalist party from 1948 until it later merged with Likud. It is a militant and extreme Zionist organisation whose roots go in a straight line from Ze’ev Jabotinsky and Menachem Begin up to Binyamin Netanyahu today. Jabotinsky and Begin helped form the Irgun terrorist group in 1937. Irgun committed notorious massacres in Palestine in the period leading up to and during the Nakba (or “catastrophe”) of 1947-48. These include the bombing of the King David Hotel in Jerusalem in 1946, killing 91 people, and the massacre at Deir Yassin in 1948 in which 254 unarmed Palestinian villagers were brutally murdered as an incentive for other Palestinians to leave. On its website Likud-Herut UK lists Jabotinsky and Begin as “visionaries”. Likud-Herut is a member of the World Zionist Organisation and the Zionist Federation of the UK which believe in “the inalienable right of all Jews to live and settle in all parts of the Land of Israel”. The “Nazi and Fascist” mentality that defined Herut in 1948 now defines the most powerful ruling class in Israel. Israel’s leaders speak openly of genocide and murder, yet they celebrate and promote Israel as if an icon of civilization, democracy and human rights. The history of Herut and Likud tells us a great deal about who the people are who complained about Atzmon to Islington Council. When Atzmon moved to appeal his being banned, formidable opponents again appeared in the form of the Simkins Law firm, one of the most expensive law practices in Britain, with not one but two partners at Simkins being put on the case. These are Gideon Benaim and Tom Iverson. It now appears that Atzmon’s banning was not the result of a casual complaint; it was an intentional attack on a well-respected supporter of Palestinian human rights by the Likud organisation, directly represented by Martin Rankoff. Benaim recently became well known in Britain for winning an invasion of privacy suit against the BBC on behalf of pop singer Cliff Richard, who said he spent ￡3.4m ($4.3 million) on the case. Clearly, representation by Simkins doesn’t come cheap. Also listed in Benaim’s resumé as a client is the Las Vegas Sands Corporation which likely has no problem with Simkins’s fees either. The Sands casino is owned by billionaire Sheldon Adelson who, as it happens, is a primary sponsor of the Likud Party in Israel, led by Binyamin Netanyahu. Adelson owns the newspaper Israel Hayom, a mouthpiece for Netanyahu and Likud. It now appears that Atzmon’s banning was not the result of a casual complaint; it was an intentional attack on a well-respected supporter of Palestinian human rights by the Likud organisation, directly represented by Martin Rankoff. The attack was followed up by the hiring of a lawyer who has worked for Likud godfather Sheldon Adelson. The connection to these powerful forces may explain why Islington Council leader Richard Watts, without any delay or attempt at negotiation, took the step of going straight to a decision to hire an expensive law firm. This is while Islington is facing serious austerity and shortage of funds in its own operating budget. Islington has a population of about 206,000 people. This very month, 43 of those people were counted in one survey as homeless and sleeping on the streets. Regarding the financial problems of his borough and others around London, Richard Watts, told The Independent in October 2018: “Unprecedented” funding pressures and demand for adult and children’s social care and homelessness services was “pushing councils to the limit”. Yet, to Watts and his fellow councilors in Islington, backing partisans for a foreign country – Israel – took precedence over the pressing needs of the people whom they are supposed to represent. Either Watts was inexcusably careless with scarce town funds or a deal was made and he knew that he could depend on Likud-Herut to back him. Or, like politicians all across Europe and the US facing the power of the Israel lobby, he knew he couldn’t afford to say no. According to Simkins’s website, Gideon Benaim “has extensive expertise in the areas of defamation, privacy, harassment and copyright”. Perhaps it is not a coincidence that immediately after Islington brought in Simkins, identical statements from an unnamed Labour spokesman describing Atzmon as “a vile anti-Semite” appeared in both the BBC and the Guardian. Perhaps a lawyer experienced in defending people against defamation and harassment would also know how to perpetrate these things. Perhaps this was Benaim’s opening move. Character assassination is a common tactic in cases that have a weak legal foundation, such as this one, as it goes a long way to convicting the accused before their case ever reaches a courtroom. So, it is legitimate to ask these questions. The involvement of Likud-Herut in the attack on Gilad Atzmon, and Islington’s official backing of that attack, constitutes a monumental scandal. This wasn’t just a stupid mistake; it was a hit. It is an affront to reason that an an arch-racist organisation like Likud, which from the beginning has stood for the removal of the people of Palestine from their own land by means of terror, murder and forced expulsion, could possibly claim it was defamed by someone pointing out these very crimes. There is a case of defamation here for sure – the defamation of Gilad Atzmon. For Zionists, defamation is nothing more than a tool to destroy opponents who can’t be dealt with by other means. We are long since tired of truth tellers being accused of anti-Semitism. We’re tired of national and local resources being used to prop up the criminal state of Israel. Coercion by advocates for Israel is at the centre of this issue in Islington, as it is in many other towns and many other countries. For the sake of Palestine and our own sovereignty, it has to be called out and stopped.